But even McKinnon’s efforts weren’t quite enough. Writing for Vulture, Mark Harris points out that SNL’s portrayal was less a specific satirical take on the hearing than a hyperbolic rehashing. With a comedic landscape dominated by late night hosts like Seth Meyers, John Oliver, and Samantha Bee, who handled the ongoing hearing with poise and razor-sharp intellect, Harris argues that SNL needed to bring a more angled and astringent take to the table. Actually, I’d argue that SNL didn’t just fail to contribute to a conversation — they actively detracted from it. It’s surprising that few critics noted the oddness of casting Matt Damon, given his comments on the #MeToo movement back in 2017, which seemed to conflate false accusations with legitimate claims. Damon later apologized, but what did it matter? A powerful male voice had already undermined a crucial movement for women in his industry when he could have offered support or — here’s a novel idea — even stayed silent. This was not Damon’s conversation to weigh in on, yet he did with a kind of masculine self-assurance that echoed unsettlingly in his portrayal of Kavanaugh. Here was a man who used his platform to disparage a women’s movement, now asserting himself as an ally, costumed in the shoes of a man who purportedly used his status and power to brutalize a woman in the most violent way available to him, short of actual murder — and he was treating this portrayal with ill-fitting levity. For a moment toward the end of the cold open, it seemed as if Damon was about to break character and giggle. And therein lies the issue. “Saturday Night Live” has been known to take on sensitive subject matters, from ISIS to slavery to the opioid crisis, through their signature comedic lens. But with Kavanaugh, they weren’t just lampooning a polemic in the vague abstract, like with most sketches that tackle “racism” in an untargeted, conceptual way. This sketch was not about “sexism” or “misogyny” as intangible concepts. This was a woman’s story, one woman whose life was unfairly upended by a boy at a high school party, whose trauma was aired out again and again, broadcasted to a national audience, whose appearance and tone of voice and account were forensically dissected for inconsistencies, whose physical appearance was critiqued by senators and the President. All too absent from the SNL cold opens was Christine Blasey Ford herself, who seemed overshadowed by cartoonish portrayals of her alleged assaulter, erased fully from the narrative that belonged, critically, to her. “You’ve never forgotten that laughter,” Leahy said. What’s fair game for laughter, and who gets to laugh, is inextricably linked with differentials in power. One girl’s trauma was the source of laughter for two young men who knew privilege would protect them from consequences. That laughter stayed with her while, she, only 15 years old, left the party that summer night in 1982. It stayed with her while she attempted to come to terms with the trauma she endured by researching it at Stanford and USC, attempting to conquer it with science. It stayed with her as she stood before a committee of senators in order to block her alleged abuser from being appointed to the highest court in the nation, and although she has not publicly commented on his recent confirmation, I imagine that it stays with her now, watching the man who allegedly pinned her down at a party and laughed uproariously at her trauma take on a lifetime position to the Supreme Court. Of course, I’m grateful that SNL chose not to portray Ford — an impression that, as Harris writes, would be deeply insensitive and obviously, would not lend itself well to comedic interpretation. As someone who knows very little about sketch comedy, I’m not even sure I can prescribe a comprehensive solution. And to SNL’s credit, laughter can sap an object of its power, and comedy can be a means of keeping the powerful in check. Comedy can be a forceful tool for marginalized people in the face of oppression, who use it as a vehicle to seek affirmation and to commiserate with one another. That’s part of what the show has done best, since the beginning of the Trump administration. But it can also have the effect of trivializing and delegitimizing the subject, of making it seem hokey and unintimidating, undercutting the degree to which the subject represents a real threat. In 2016, in advance of the presidential election, Jimmy Fallon amicably mussed Trump’s hair during his appearance on the Tonight Show. Trump even hosted “Saturday Night Live.” Talk show appearances, sketch comedy hosting, reality TV — the whole of his campaign was something of a joke, a surreal extended bit. Until it became real. Until the SNL promos and TV spots turned into the televised inauguration ceremony. He told us there was nothing to be scared of. We believed him. A joke has power. It matters who’s in on it, and who’s outside of it. Making fun of something requires replicating it in some way; to make fun of hate speech, it has to be repeated. Christine Blasey Ford, and all survivors, do not deserve to have their trauma made into a tidy sketch, or impersonated with grotesque caricaturish exaggeration. There’s a subtle difference between making fun and making light. To paint Brett Kavanaugh as a whiny, impetuous manchild who tearfully waxes poetic about beer and 1980s calendars is funny — but it’s also dangerous. 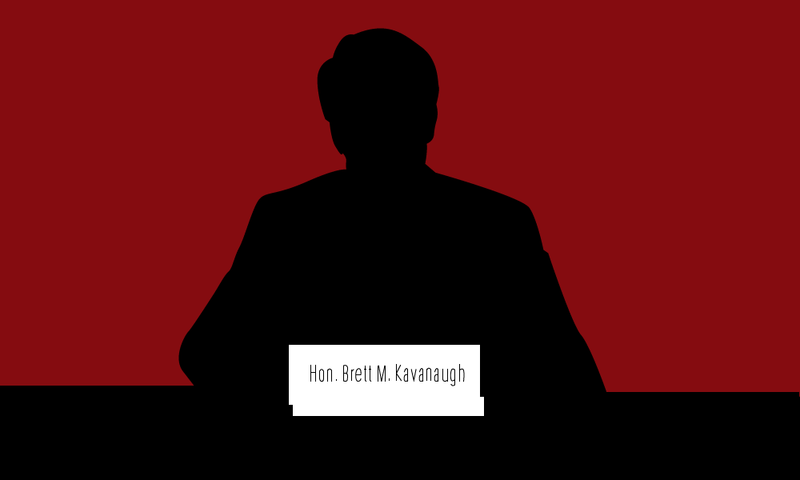 Kavanaugh has just been appointed to a lifetime position of power, and the effects of his decisions will reverberate through generations. It’s time we understand the danger of our jokes.